Harbor Freight Tools is committed to invest in and build "best practices" in everything from retail to inventory, Ecommerce, technology and merchandising. We continue to seek out top-tier talent at all levels, high-energy professionals and creative problem-solvers who seek an environment which supports, nurtures, and properly compensates individuals who demonstrate the capacity to be top performers at their respective levels. 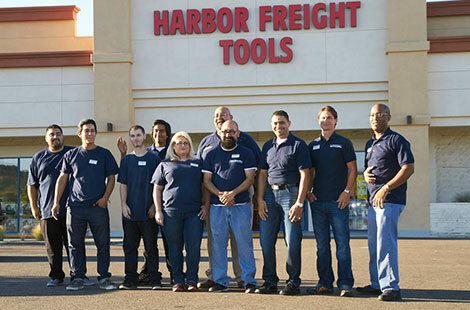 Harbor Freight Tools is a large company with a start-up feel that provides a collegial and collaborative culture dedicated to high achievement. We are committed to support and promote people based not on politics, but on their relative contribution, skill set and accomplishments. Harbor Freight Tools is dedicated to generous pay for performance compensation and long-term careers. People who can combine personal accomplishment, leadership and a true commitment to teamwork thrive at our company. In 1977, Harbor Freight Tools had a mission to make it easier for working people to get the best value possible on top-quality tools they could trust. Now, more than 40 years later, that mission has made Harbor Freight Tools one of the largest tool and equipment multi-channel retailers in the United States, with over twenty million satisfied customers. 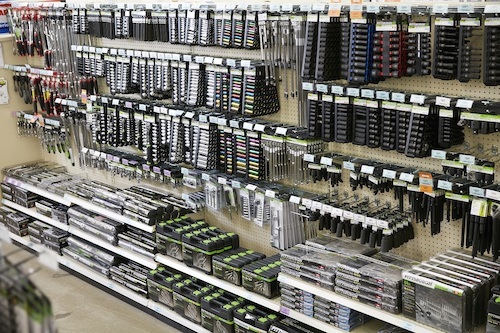 Harbor Freight Tools isn’t your typical retailer. We believe that our People, Products and Principles are what make us special and unique and we are committed to providing hard-working people with great quality tools at the lowest prices. Excellence in Execution – We succeed by staying focused, getting things done and sweating the details. Continuous Improvement – We constantly strive to improve. Collaboration – We find solutions as a team. Doing the Right Thing – We treat everyone fairly, reasonably and with respect. Humility – We keep our egos in check. Frugality – We spend every dollar wisely. Community – We believe in giving back.